IN LIGHT of a new levy being approved at a meeting of Woking Borough Council’s Executive last week, a local councillor is urging residents to create Neighbourhood Forums to give them more say in evolving the areas they live in. From April 1, 2015, every new development nationally will be charged a Community Infrastructure Levy based on the square meterage of builds. This will be used to assist in the delivery of the infrastructure required to support developments. After Woking’s CIL was given the green light on Thursday, a briefing was held at Monday’s meeting of the Overview & Scrutiny Committee. 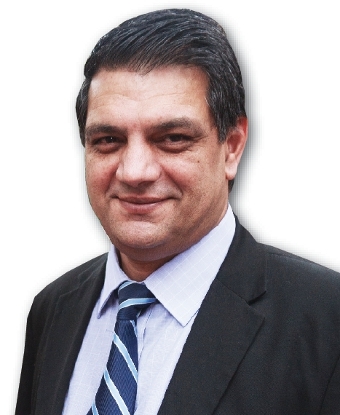 Councillor Saj Hussain (pictured), who chairs it, said: “I am encouraging borough residents to form local Neighbourhood Forums because, once the CIL is adopted, they will be entitled to 25 per cent of the levy from new builds to prioritise improvements. So far five Neighbourhood Forums in Woking are in progress, including Byfleet, West Byfleet, Pyrford, Hook Heath and Brookwood. A forum can include areas as large or small as seen fit and need to involve a minimum of 21 people. Planning Policy Manager, Ernest Amoako, joined the meeting to discuss how best council officers can assist with residents forming forums. In areas where Neighbourhood Forums exist, 25 per cent of the levy will go to them to spend as they see fit. The remaining 75 per cent of the CIL will go to local authorities. For example, in places considered priorities for residential development – Woking town centre, Sheerwater and Maybury – there will be a charge of £75 per square metre. Elsewhere in the borough will be charged £125 per square metre. Woking’s priority will be for provision of Suitable Alternative Natural Greenspaces to mitigate against the impact of development on Special Protection Areas. FOR more info visit www.woking.gov.uk or contact the council’s Planning Policy Manager, Ernest Amoako.